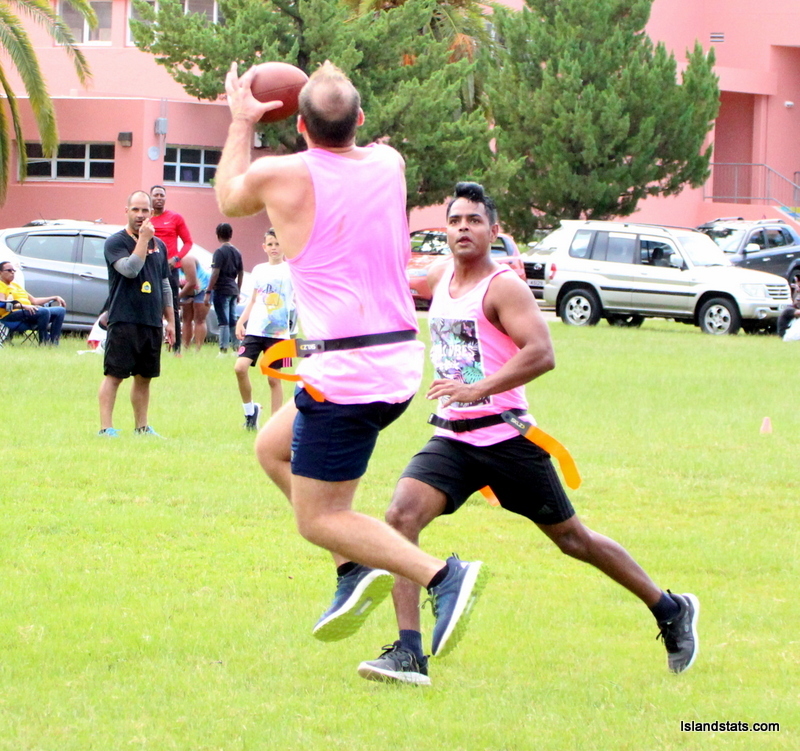 The Bermuda Flag Football League (BFFL) Winter League Season continued with yet another triple header on the T.N. Tatem Middle School Field. A total of 143 points was put on the board. The opener saw the X-Patriots edge the Beer-muda Misfits 25 – 24, the Black Shark$ went down 26 – 14 to the Punisher and the Killa Squad defeated Nothin But D 33 – 21.